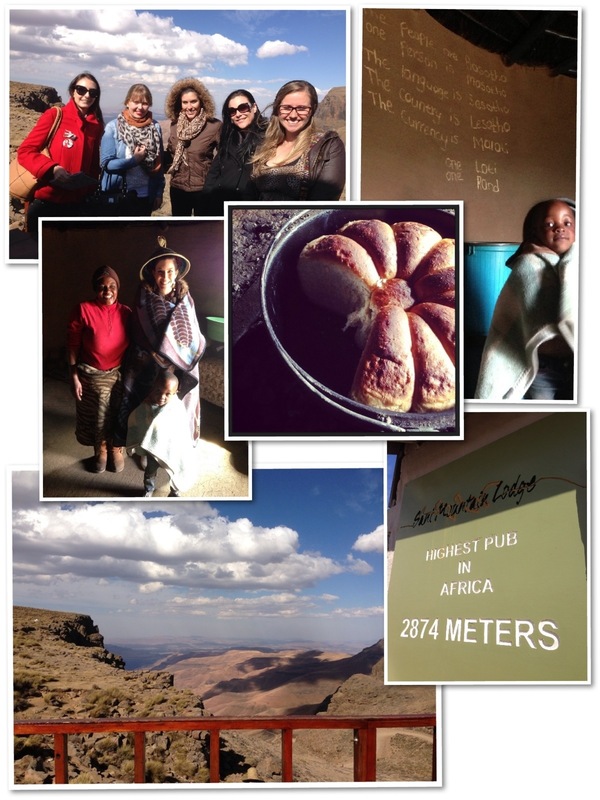 I was recently invited to experience one of the most awesome attractions that our beautiful country has to offer – a trip up Sani Pass with 1st Zulu Safaris. I’d never made the trip and was a little apprehensive after hearing a few harrowing tales of vehicles sliding around the hairpin corners and getting stuck in treacherous weather conditions. So I was assured when we met at dawn down at Ushaka and bundled into a hardy landrover driven by our experienced tour guide, Sotiris. We made a few stops along the way, first for a much needed coffee, next to take in the beautiful landscape just outside Boston and then again just before Himeville, before we started the trek towards the Lesotho border and noticed an immediate drop in temperature. Being ninnies from Durban we were freezing! The wind was icy even though the sky was clear blue and as we started our ascent up the pass, we were like kids in a candy store marvelling at the frozen icicles on the bends up the pass – you’d swear we’d never seen ice before! 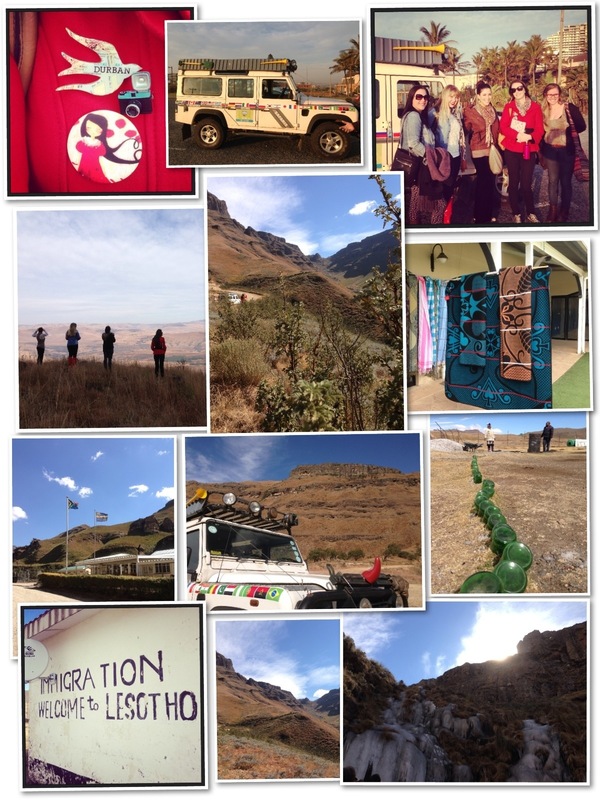 We moved swiftly through customs on both sides of the border and were humbled as we crossed into Lesotho and saw how friendly the locals were and how excited they were to receive small gifts of old clothes, shoes and sweets – which Sotiris had packed specially for the trip. We went to a Basotho village first and marvelled at the instruments made out of tin cans that magically made music, while chickens vied for scraps on the floor and the kids wrapped tightly in blankets jumped up and down to greet us. The first snowfall had not arrived yet, but it was still icy cold and I shudder to think what it might be like once the snow fell – which it did the weekend after our trip. We were invited into their huts and generously offered freshly baked bread. Lauren was shown how to be wrapped up in a Basotho blanket and we all giggled at the kids when we saw their faces after we showed them the pics on our phones of themselves. It was an eye-opening experience and I encourage anybody who would like to make a small contribution of old clothes or non-perishable food, to drop it off at the 1st Zulu Safaris office in the Tropicana Hotel for the next trip up the pass. Your small effort will go a mighty long way. To end our day off, Sotiris treated us all to a hearty lunch at the ‘Highest Pub in Africa’ which is 2874 meters above sea level with the most breathtakingly magnificent view and then we bundled back into the landrover, wrapped ourselves in Basotho blankets and started our journey back down the pass. Going down is way scarier than going up!!! If you’ve never made a trip up Sani Pass, do! It is an awesome day adventure and 1st Zulu Safaris made the whole experience such fun and one I’d recomend to both guests and locals in a heartbeat. Check out the other trips they organise on their website, along with this and other day trips there’s a whole host of adventure you can experience with them. Follow them on facebook and twitter for updates, specials and discounts and remember them the next time you’re clearing out your closet – a family in Lesotho needs anything you don’t, so drop off at the 1st Zulu Safaris office. A huge thank you to Sotiris for taking us on such an awesome adventure. Your generosity was amazing and I look forward to going on other adventures in the future. There’s a very good reason that 1st Zulu Safaris won a 2013 Certificate of Excellence on Trip Advisor – they go above and beyond to make sure your tour is both informative and memorable. A winning combination!